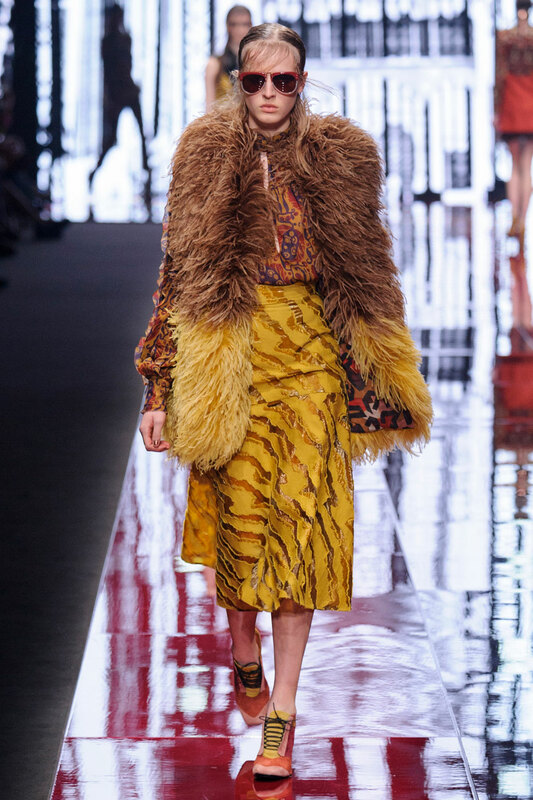 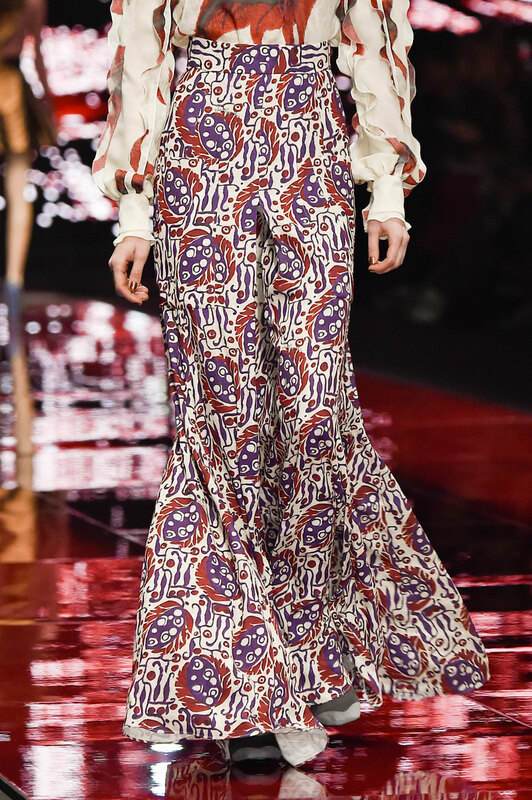 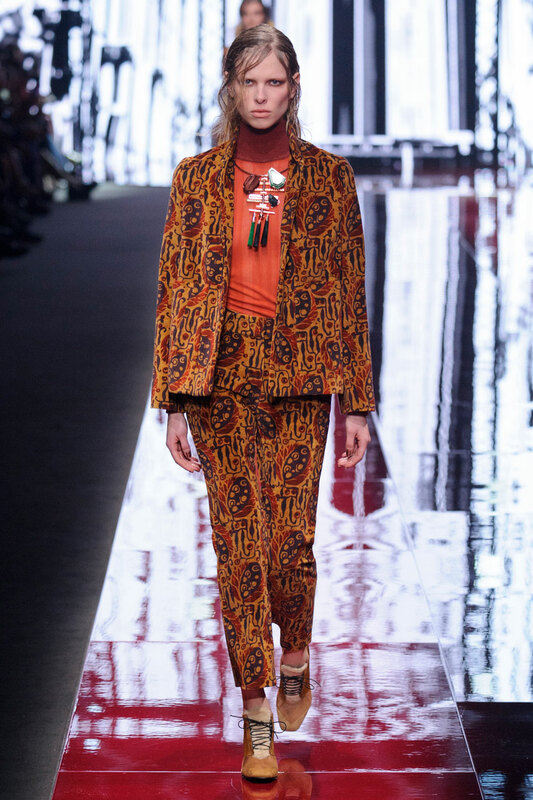 Just Cavalli Women Autumn-Winter 2015 – Roberto Cavalli described his collection “Brocades with Bauhaus inspiration and lightweight patterns of stems and fronds that turn into a flight of fading feathers”; And it truly was nothing less. 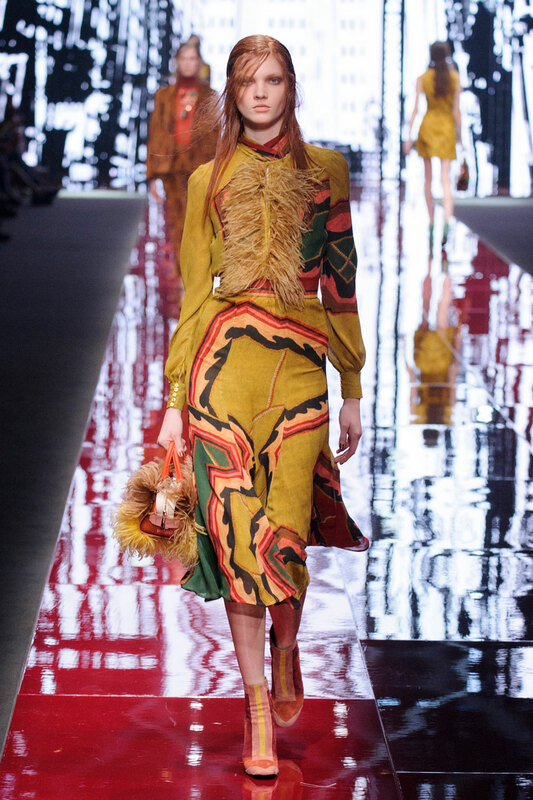 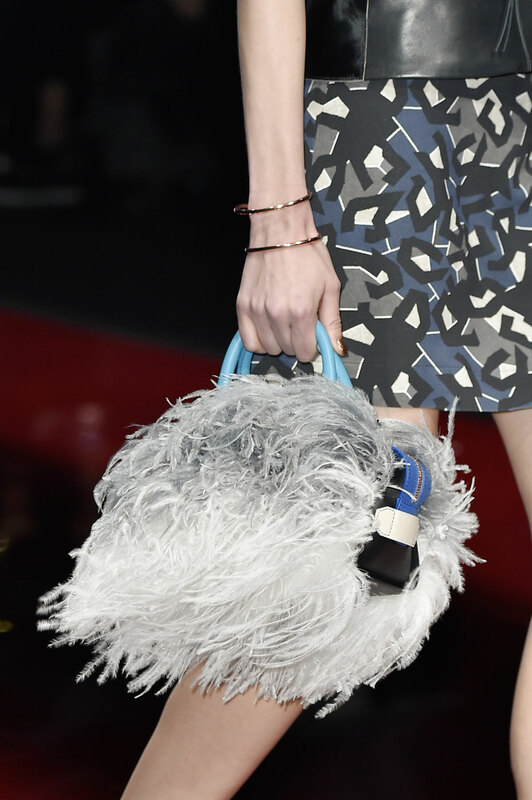 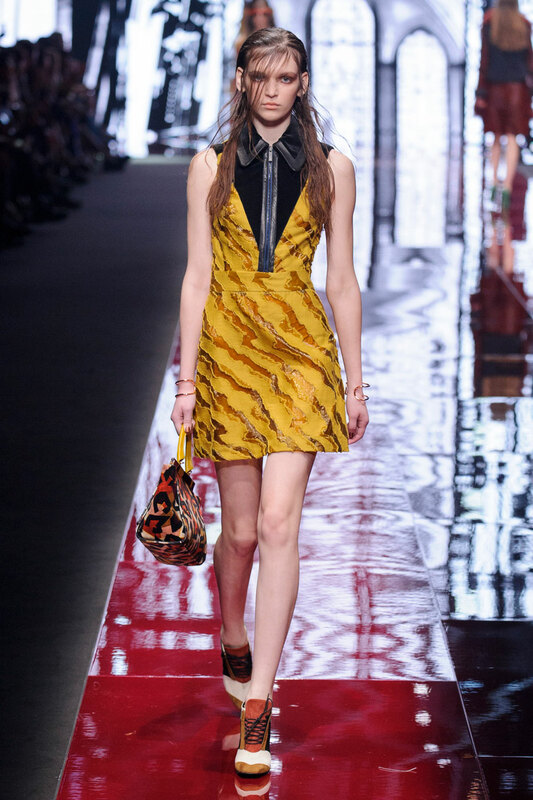 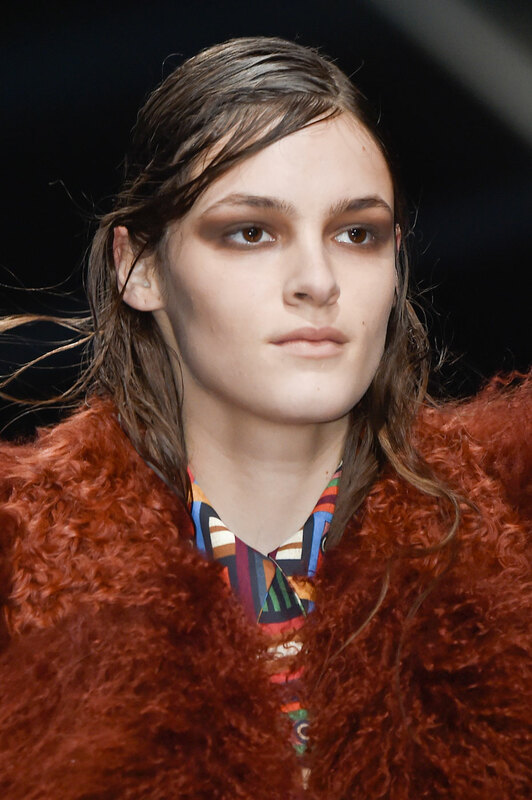 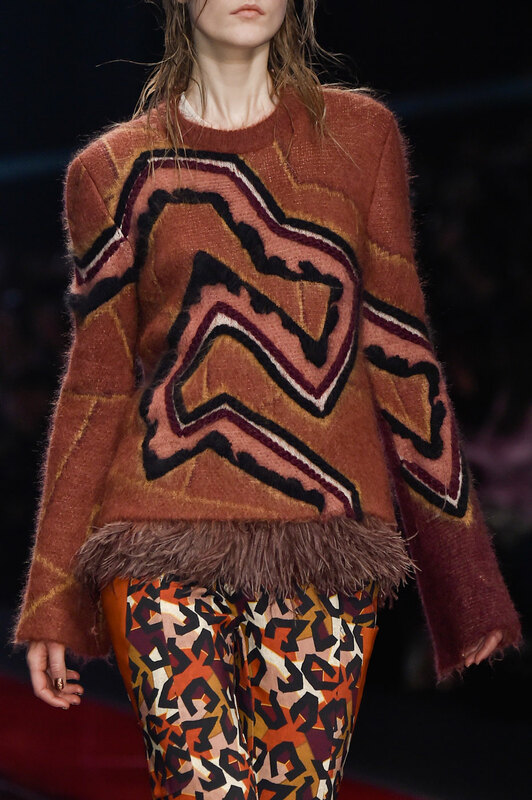 The first few looks this season represent the bird like qualities described by Cavalli. 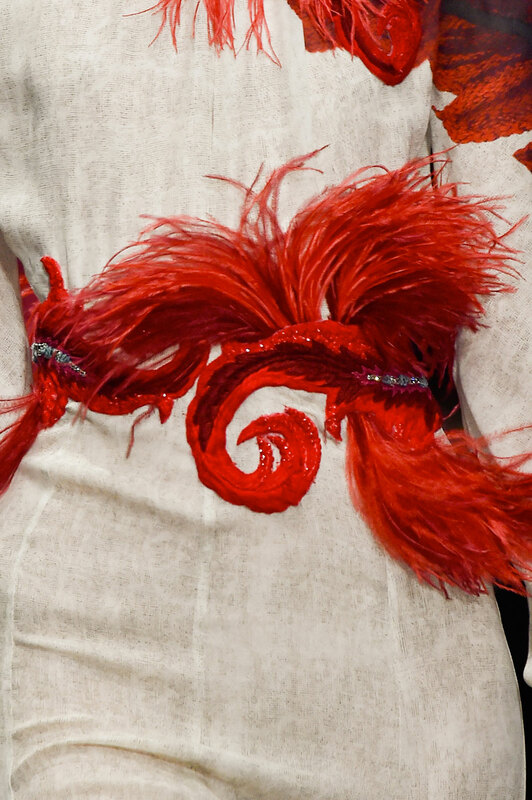 The placing of the feathers on the jackets impersonate the wings of a bird, creating a very subtle exquisite look. 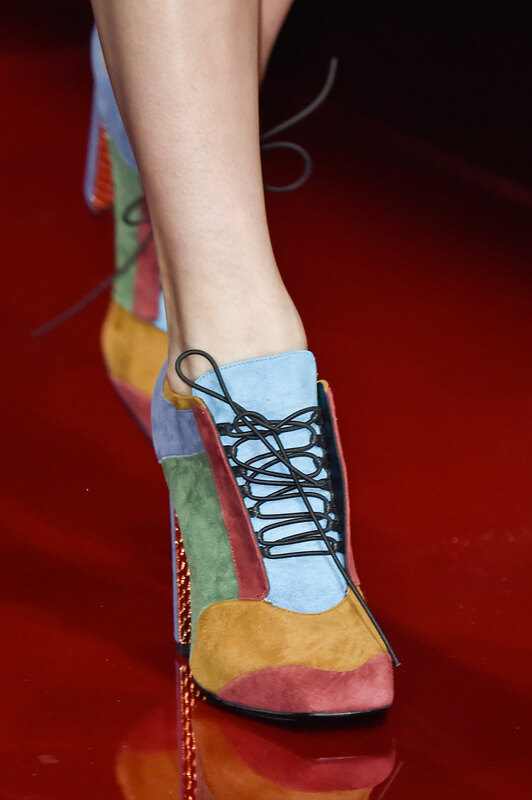 The focus is also drawn to the shoes paired with this masterpiece, much bolder and more defined. 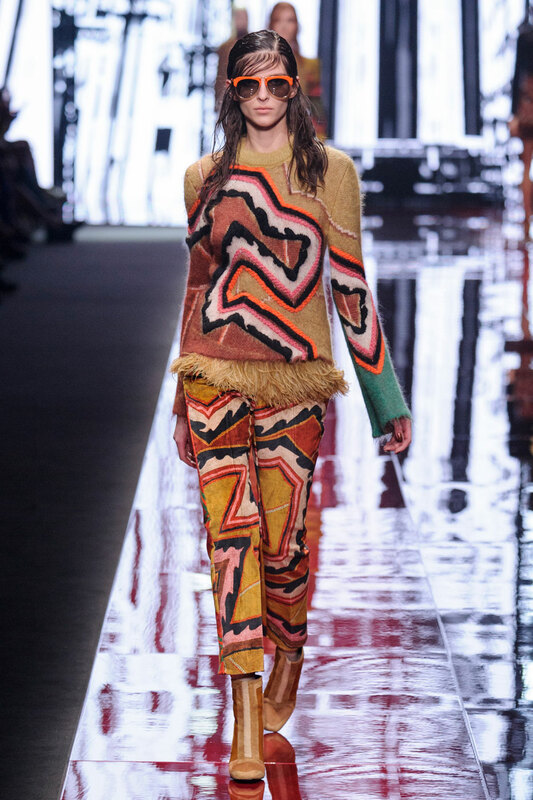 But as the collection continues it becomes more fun and youthful, covered in 70’s inspired colours with lots of pattern mixing. 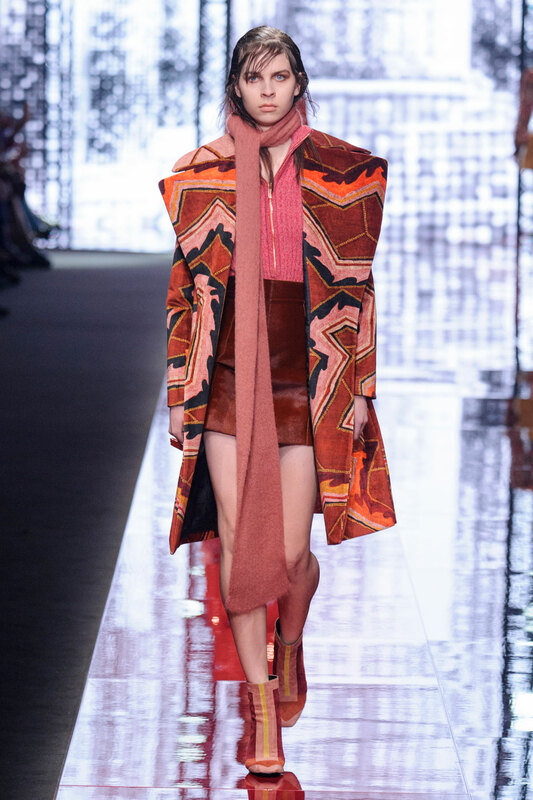 Suede boots, leather mini skirts and high necklines are here this season at Just Cavalli, presenting these features in warmer tones. 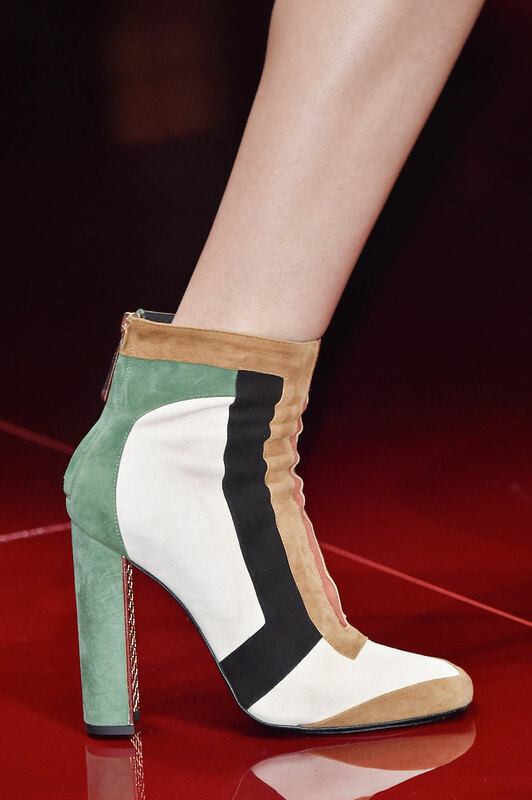 The suede boots and lace up’s have quite a sporty edge, introducing a more contemporary vision on the 70’s style. 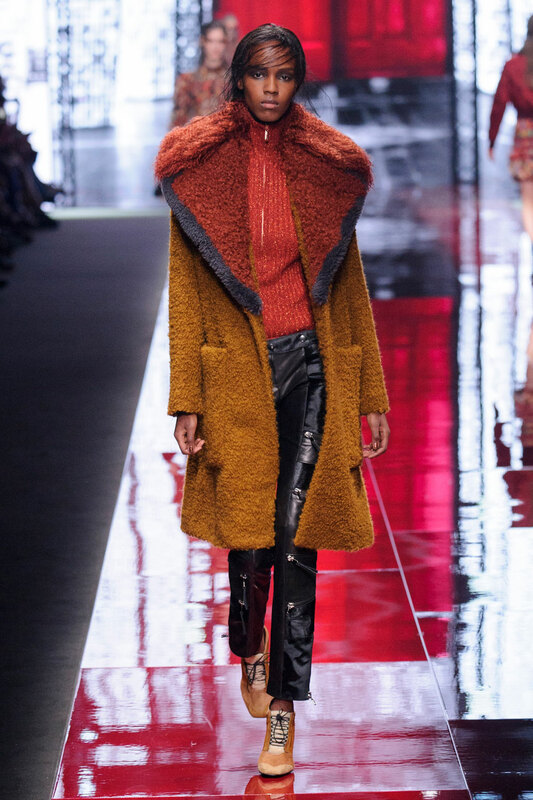 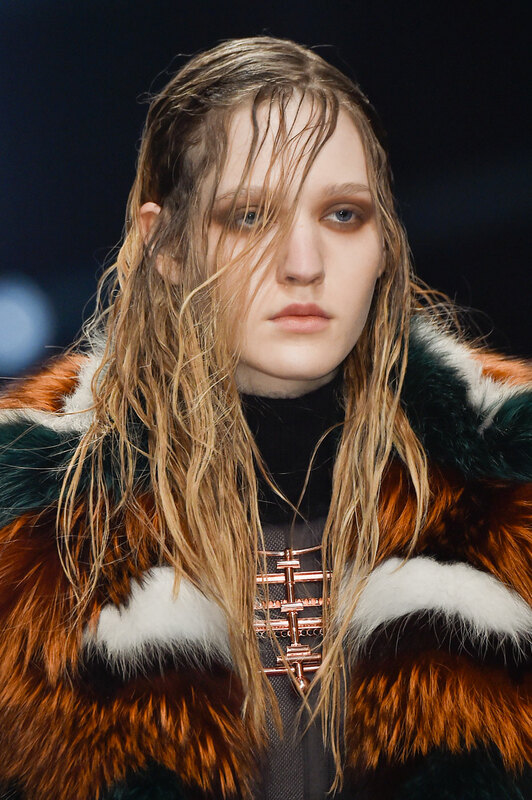 Fur is used very expressively but becomes a significant part of many looks by defining seams of jackets and tops. 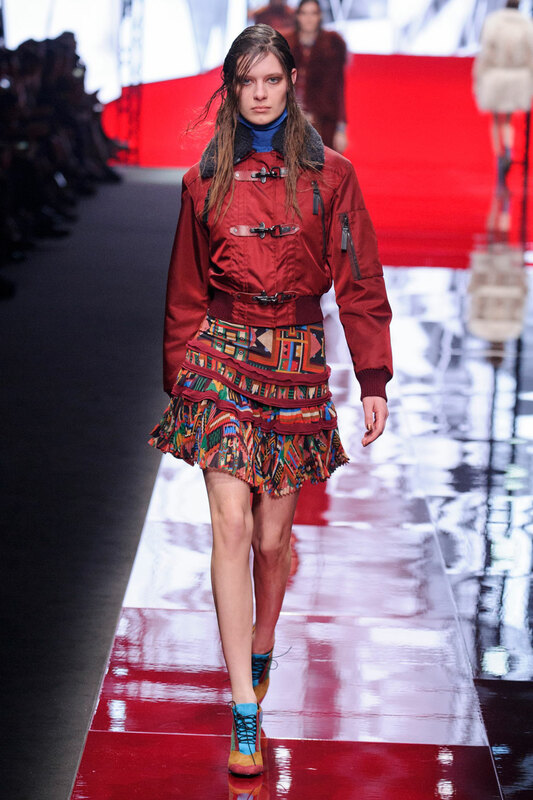 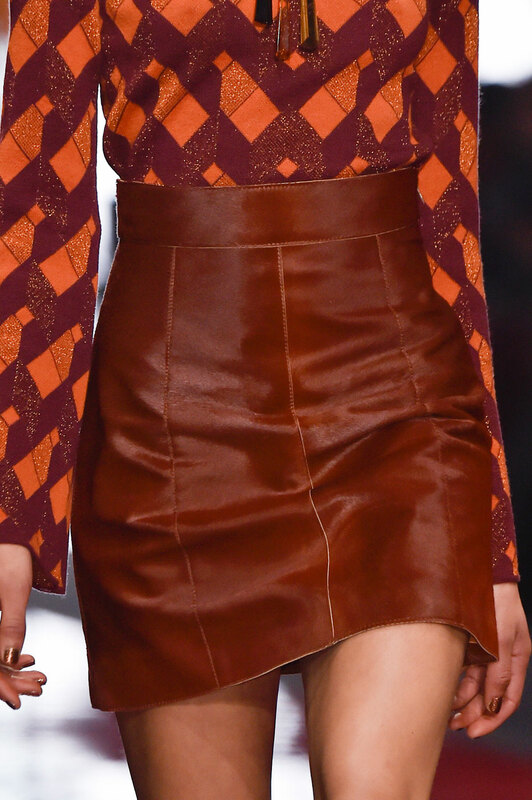 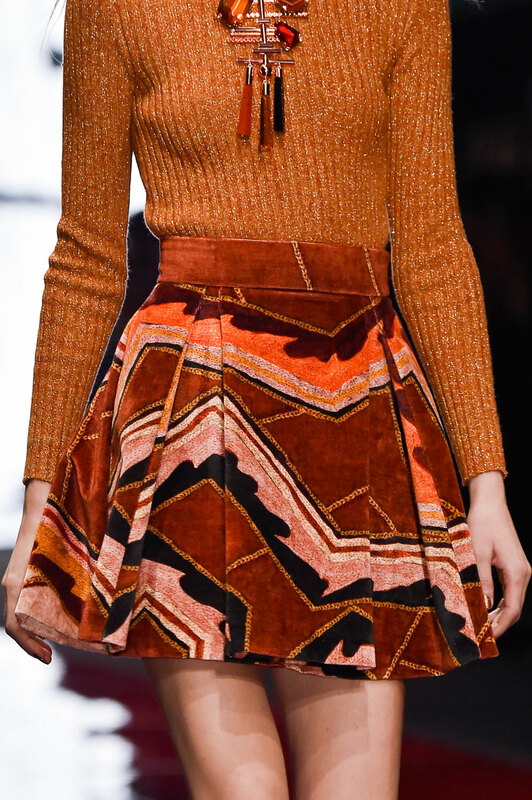 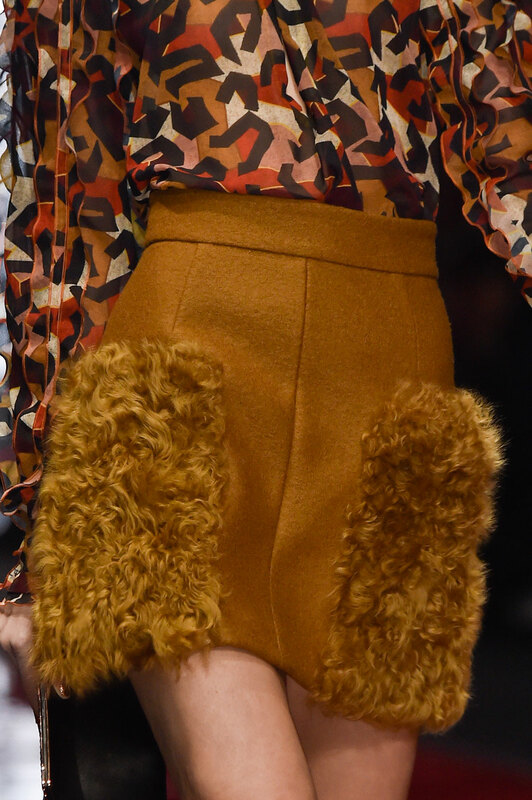 The basic mini skirt consists of patched fur pockets with functionally designed cuts that slightly flare. 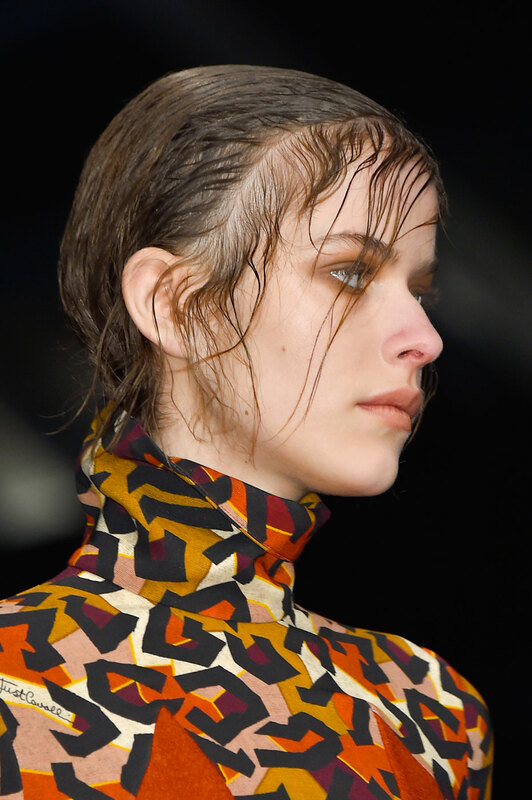 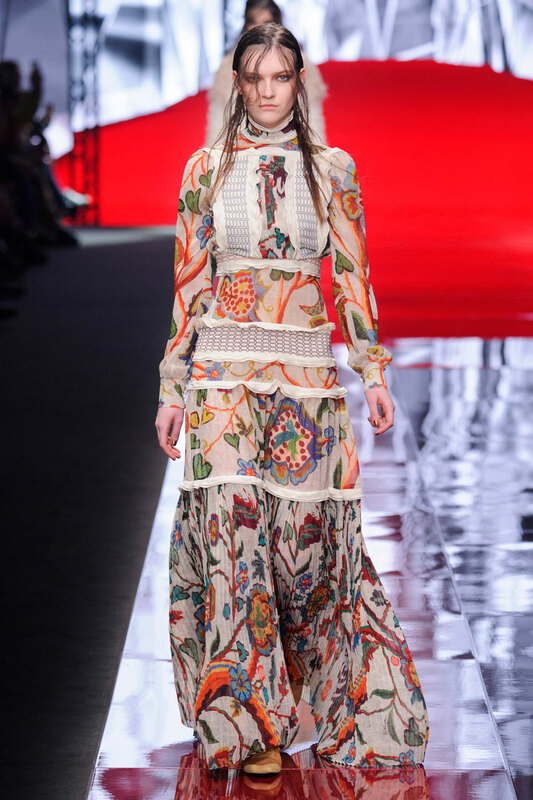 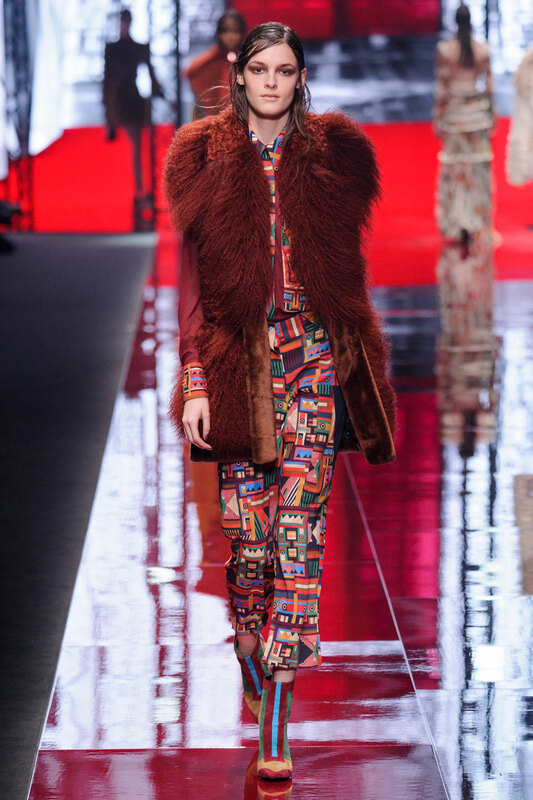 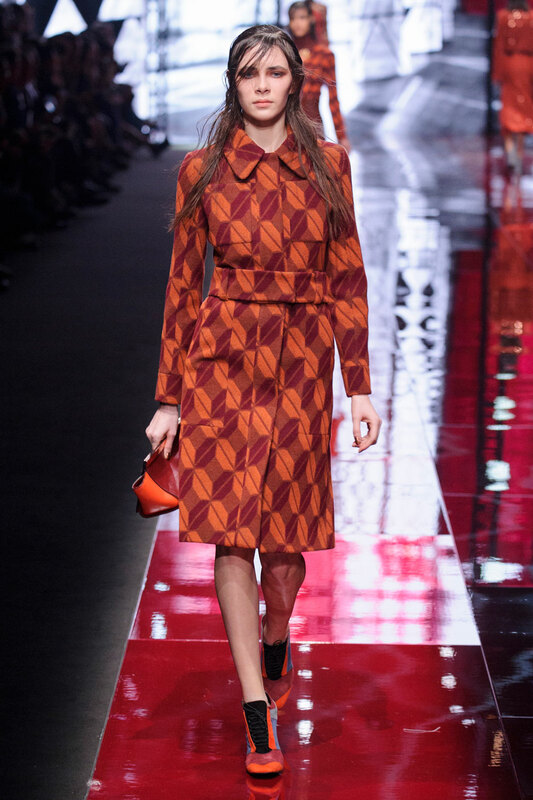 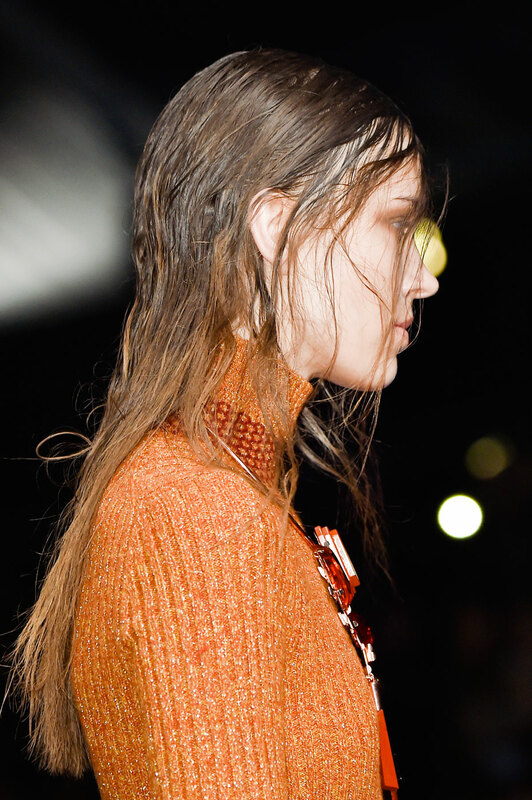 The whole collection is somewhat architectural, shown through the variety of bold 70’s prints present on the catwalk. 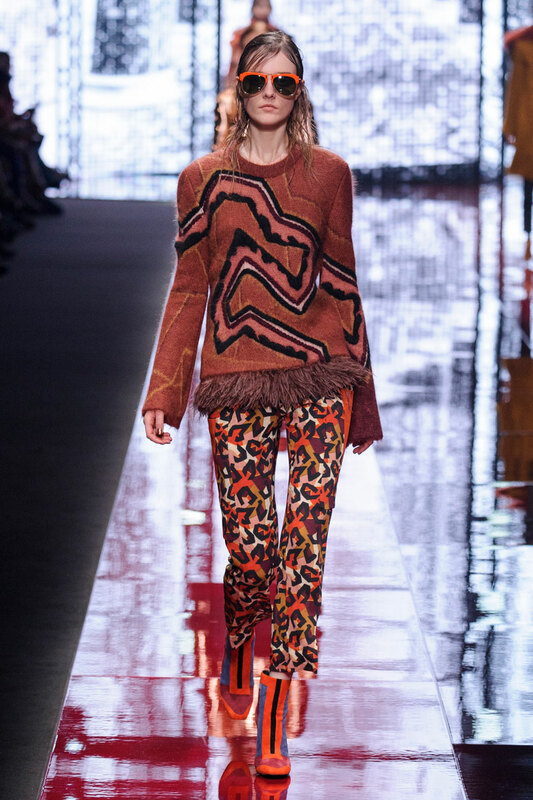 Every design is a work of art in itself, and Just Cavalli have truly mastered a unique, contemporary collection inspired by the 70’s.